The Holyoke Public Library Corporation, a private organization incorporated in 1870, is governed by a 13 member Board of Directors. The officers and directors are elected at the corporationâ€™s annual meeting in October. The mission of the Holyoke Public Library is to provide the citizens of Holyoke with the tools and opportunities to improve themselves and their quality of life while promoting literacy, the enjoyment of reading and life-long learning through the provision of equal access to library materials, services, facilities, technology, up-to-date resources and programs to meet the educational, informational, social, cultural, and recreational needs for residents of all ages and abilities in the City of Holyoke and surrounding areas. The goal of the Library is to promote literacy and maximize the use of its collection by the greatest number of persons. It seeks to promote endeavors which will stimulate and expand the reading interests of both children and adults, and to coordinate this work with that of other educational, social, and cultural groups in the community. The library services are free and open to all. It provides general circulation and reference services for adult, young adult, and children, and furnishes guidance and encouragement in the use of the Library and its resources. 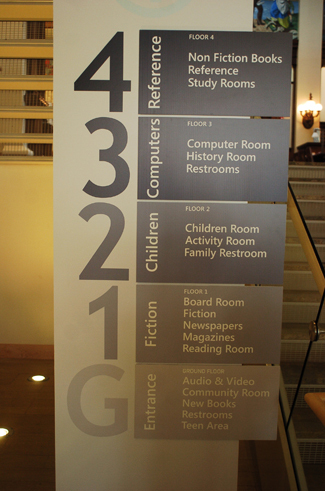 Every effort is made to assist patrons in locating information and/or library materials, and accommodating special requests. The roles of the library are constantly changing, and as indicated by the Department of Public Instruction of Wisconsin and the American Library Association, the Library has identified the following roles to carry out its mission. The library is an informal channel for information and assistance for current information on community organizations, services and issues.The library maintains a high profile as a source of information about community services.The library participates in community referral networks, and may have a calendar of community events. The library features current, high demand, high interest materials in a variety of formats for persons of all ages.The library promotes and encourages the use of its collection. The library encourages young children to develop an interest in reading and learning through services for children, and for parents and children together. Parents and other adult caregivers can locate materials on reading readiness, parenting, childcare, and child development. The library promotes reading readiness from infancy, providing services for self-enrichment and for discovering the pleasures of reading and learning. Services may include programs for infants, for parents, and toddlers, and for parents -- for example, "read-aloud," day care story hour, traditional storytelling, parenting skills development workshops, and book talks.The library may provide outreach to day-care facilities, or reading readiness programs. Programming introduces children and adults concerned with children to a wide range of materials and formats. The Library provides timely, accurate, and useful information for community residents in their pursuit of job-related and personal interests.The library promotes on-site, online and telephone reference/information services to aid users in locating needed information.The library participates in interlibrary loan and cooperative reference services to meet patronsâ€™ needs for information not readily available. There is ample evidence that the founders of the Holyoke Public Library were fully aware of the far-reaching consequences that a library can have in the life of a community. In dedicating the new building in 1902, President Whiting referred to it as the "Peopleâ€™s Collegeâ€�, and added that: "A library is as much a part of the intellectual life of a community as its schools, and should be supported generously as part of our educational system. Within these walls you will find authors devoted to literature, arts and science, and they are free to any who will ask. We can say to the citizens of Holyoke you have only to ask here and you will find knowledge to make your life useful and happyâ€�. These words spoken back then, are as applicable today--and will be tomorrow--as they were then. Todayâ€™s citizens of Holyoke owe a great debt to those far-sighted and public-spirited citizens of yesterday whose enthusiasm and perseverance in the face of discouraging circumstances resulted in this vital contribution to the improvement of the educational and aesthetic climate of their city. Holyoke residents have long been aware of the importance of education and the pursuit of knowledge. Libraries are not static, and their constant changes is key to developing priorities for the Holyoke Public Library as a support mechanism for the communityâ€™s changing needs.